You must make reservations at least 5 minutes in advance of the time at Lidia's Restaurant. Parking is located on the south side of the Freighthouse. There is no fee for parking. We are conveniently located within short walking distance of the KC Streetcar stops at 18th and Main and the Union Station stop. From both stops, you will find a staircase leading to the Freighthouse District just south of 20th and Main on the West side of the street. 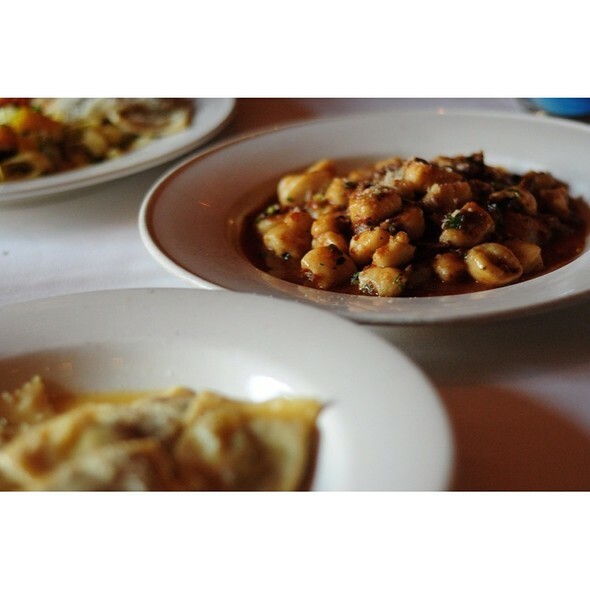 Lidia's features authentic, regional Italian cuisine. 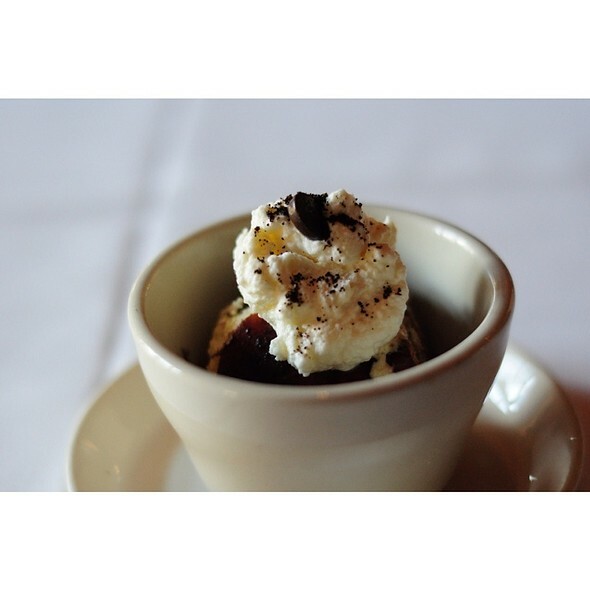 Every item at the restaurant is house-made entirely from scratch with the best ingredients available. Breads and desserts are baked in-house daily and each salad and entree is prepared fresh. 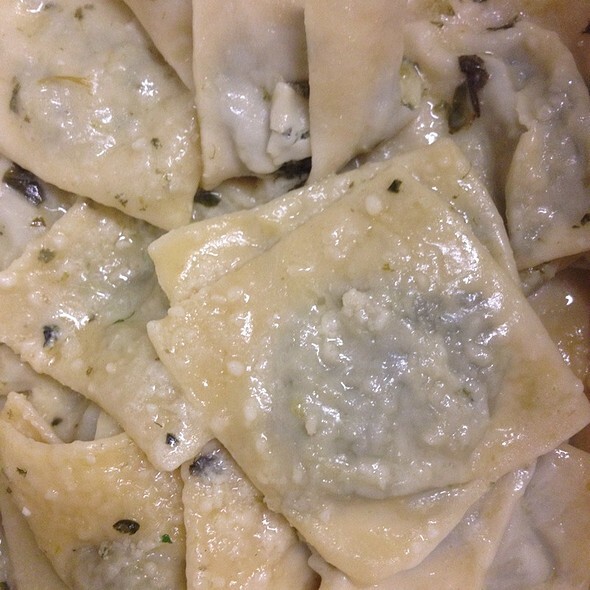 Every day Lidia's offers a sampling of seasonal, daily-made pastas. We also feature many seafood, chicken, pork, and beef options. 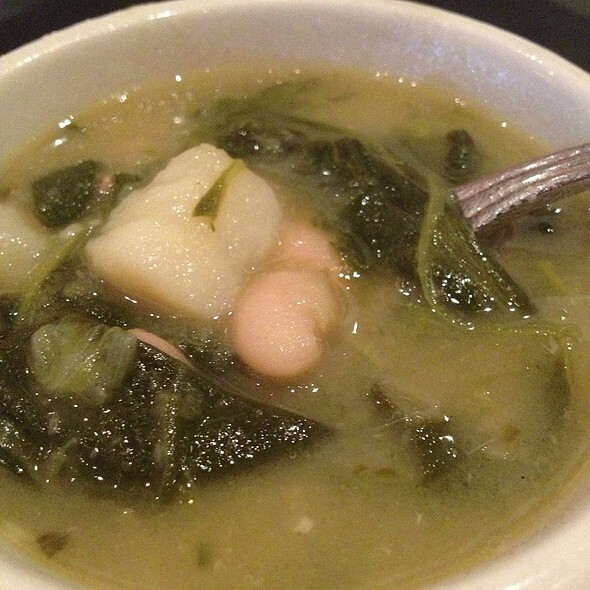 We are happy to accommodate your dietary needs including gluten-free items. 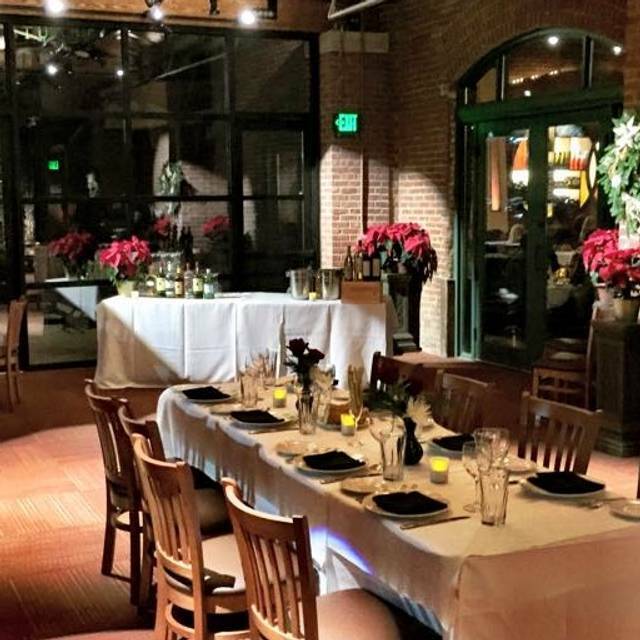 Lidia's is located in the historic Freighthouse-- a beautiful 19th century building. The stunning decor includes three hand-blown chandeliers, a three-story slate fireplace, and cozy, New York style seating. Such delicious food. If you’re in the KC area you should go. The Butternut squash ravioli was probably the best I’ve ever had. We ordered the Pasta Trio. The ravioli with the tomato sauce was delicious. The pappardelle and the Cavatappi had no salt at all - not while cooking the pasta, nor in the sauce. I should clarify that the pappardelle was on the menu with bolognese sauce; since we do not eat beef, we asked for the pasta to be served with marinara sauce. Regardless, in our humble opinion, the pasta should have been salted. This is hands-down my husband and my favorite restaurant in Kansas City. We especially love the Sunday brunch -- an excellent value. The Osso Bucco is the item we order most. Delicious! We enjoyed out lunch immensely so we're going back tomorrow for brunch. It's a beautiful restaurant, with wonderfully delicious food, and most definitely lives up to Lidia's reputation. It wasn't bad but no really good options for modifying to keto-friendly. I get that is an Italian restaurant but I'm usually able to make keto work at most sit down restaurants. The ambiance, the staff and meal was wonderful! Dinner was spectacular. The food was perfectly prepared. Our server, Rachel, was lovely....understood the menu, suggested items to try, wine was also delicious and had a great price. We had a reservation at 8:00 but were not seated until 8:30. That’s not acceptable. Fortunately the food and service made up for the delay in getting seated. This was a dual birthday celebration for two teenage grandchildren, boy and a girl. Menu has limited selection with few traditional (Italian/American) entrees, i.e meatballs and spaghetti, italian sausage, veal, osso bucco, etc. My stuffed cabbage serving was two very small cabbage rolls in a light tomato sauce. The description said on bed of sauerkraut which was missing. Prices are high and the quality is average. Our sever started out in a rush but soon understood we were there for conversation as well as food and slowed service down which we appreciated. We discussed this experience the following day and agreed the value for the price was lacking and Kansas City has much better up-scale dining options. Booked a table for 4 at Lidia’s to celebrate my friend’s birthday and was pretty disappointed. To start, we arrived on time for our reservation and had to wait 15 minutes for our table. We then waited at our table another 10 minutes before our server came to the table. Our server kept bringing dishes in random order and often forgot our requests. The food was good but the service was all around poor. Not what you would expect from this restaurant. Lidia might want to keep closer tabs on her restaurant in Kansas City. I absolutely love Lidia's! 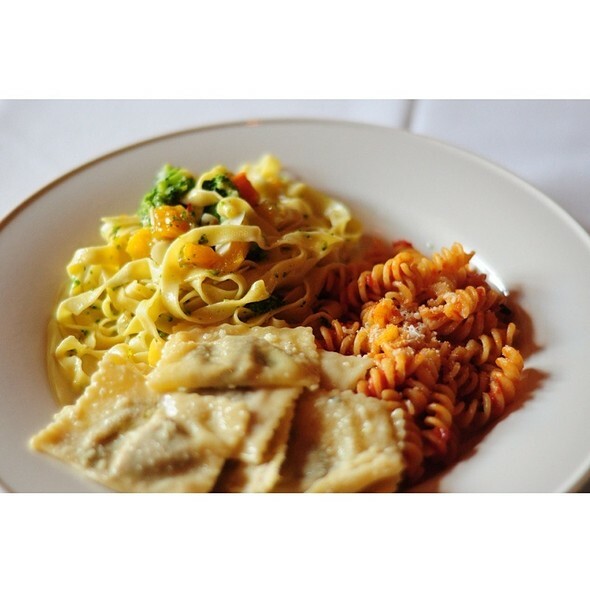 The pasta trio is always a fantastic choice. While there is usually a pasta that falls short of my expectations, there is always one or two on the trio that is just amazing - totally worth it! This is one of our favorite places to bring out of town visitors. The space is lovely, the service is good, and the food is always delicious. We appreciate that we can hear each other when we have conversations and that it is easy and free to park. One pitfall is they have too many tables in certain area. Squeak a bit to get a better table. We got stuck near the busy bus station, and the decor needs a little tlc. Overall, an average dining experience. Food was delicious. Our waitress very personable and attentive . This place has it all. Great food, service, wine selection and ambiance. Have taken clients there from the east coast (they are very proud of their Italian food) and all have wanted to go back. 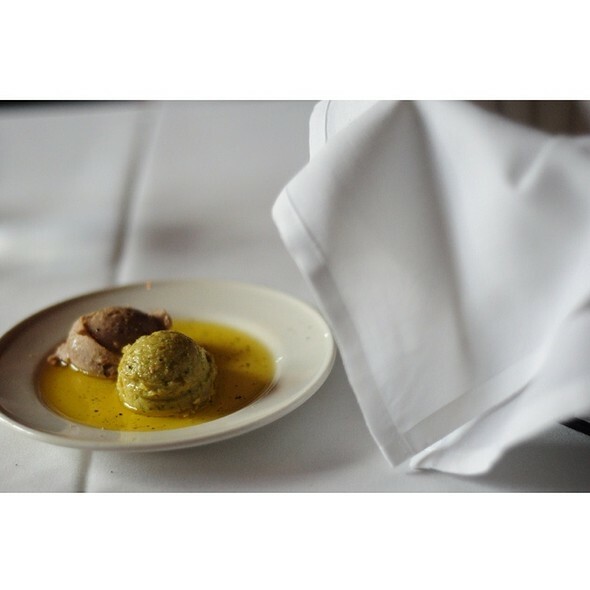 We have been to Lidia's Restaurant many times and we are never disappointed. The food and service are great. We love the restored, old brick building where it is located. Highly recommend! One of our favorites the food is always top notch!! 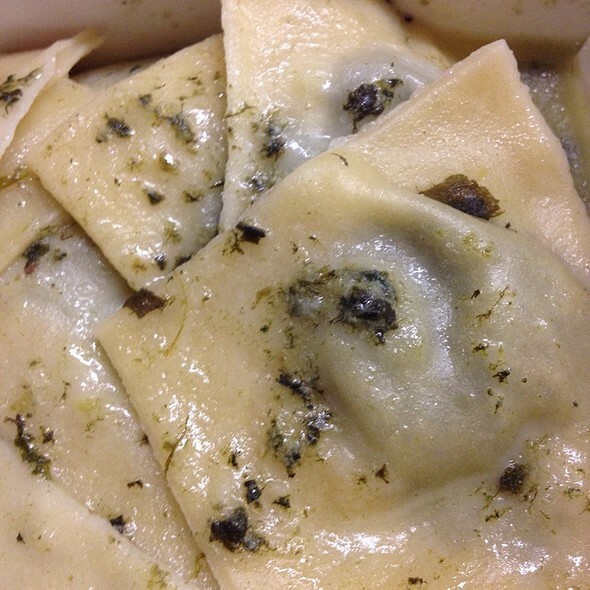 The butternut squash ravioli is top notch! 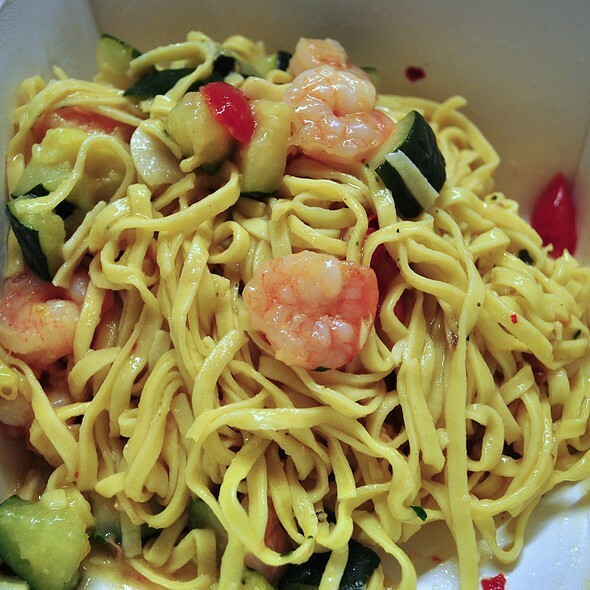 The serving portion is generous, so taking home leftovers isn't difficult to do. I didn't think anything was horrible, I just felt it was overpriced for the food. I feel like you are paying for the name. The worse I could say is the salad was saturated with dressing and I really hate that. We did the pasta trio and it was okay, my favorite was the ravioli with cheese and pear in a black pepper butter sauce. Sounds different but very delicious. The tiramisu was very good. The servers are very nice and everything is nice and clean. I would recommend it. Great night out. We all very much enjoyed our dinner and experience. Always a reliable excellent experience. Food and service were wonderful. Food was excellent, service was great , good selection of wine at an affordable price. Omg! My daughter and I cannot wait to go back! My daughter said it was the best meal she has ever had. Me too. The Caesar salad was fantastic, as well as the desserts. The main entrees were good, but not excellent. My wife and I went for our 22nd Anniversary. They welcomed us by congratulating us on our Anniversary, then seated us in the open, side room, overlooking the parking lot. It would have been nice to have a booth in the main room, but we were fine where we were. I had been thinking of risotto all day and was discouraged to not find any offered on the menu. After stating that to our server, she said she'd talk with the chef - and sure enough, he made a special, very tasty entree of mushroom risotto just for me. My wife and I both loved everything we ate and will certainly return! This was my second visit to Lidia's in three years. Both during Big 12 bball tournament. Had a terrific meal both times. This time we shared Osso Bucco, Fish of the day (Salmon) and Cabbage Rolls (recommended by our awesome waitress Rossini). Was really impressed by the appetizer version of Pasta Trio, which I will consider next time. It was much better than I imagined. I'll be waiting almost every day till I go back. I just hope it isn't all the way till next March. As usual, our experience was fabulous at Lidia's! Icing on the cake was our helpful server! We planned to eat dinner here, then on to the Big 12 Men's Basketball Tournament. My thought was to eat at the restaurant, then find a way to get to the Sprint Center, without having to drive down there and pay for parking. Our server told us to leave our car there at that parking lot and gave us directions to the trolly car just a block away from the restaurant that would take us right up to the Sprint Center! She was very helpful! Food as usual, was exceptional and very good quality! Lidia's never seems to change. They are always on top of their game, no matter day or time. The manager was rude and closed the kitchen even though we called and spoke to them letting them know we would be 5 min late due to traffic she was even rude on the phone we obviously didnt get to eat there and I will be telling other people about your service it was completely unnecessary and unacceptable. My wife and I visited Lidia's for Sunday Brunch My wife had their Sunday Sauce and I had the Pasta Trio and both were delicious. The antipasto and dessert bar is always a treat. We really enjoy everything about this restaurant the food, service an ambience, just a wonderful dining experience. We came to Lidia's to celebrate my wife's birthday. We were seated immediately. Our location of our table was good. The food was excellent! There was not a single bite, from the antipasto, the entree and dessert was bad. Our server was pleasant and efficient. We love coming to Lidia's. Fabulous service and delicious food. Can’t get much better that that! !